I love trains around the Christmas tree, it's just so fun! Finding just one can be a bit of a challenge, I'm up for the task because I want to buy a set this year to put around our tree. I started looking last year but lost interest, only to have it renewed after seeing one on pinterest. 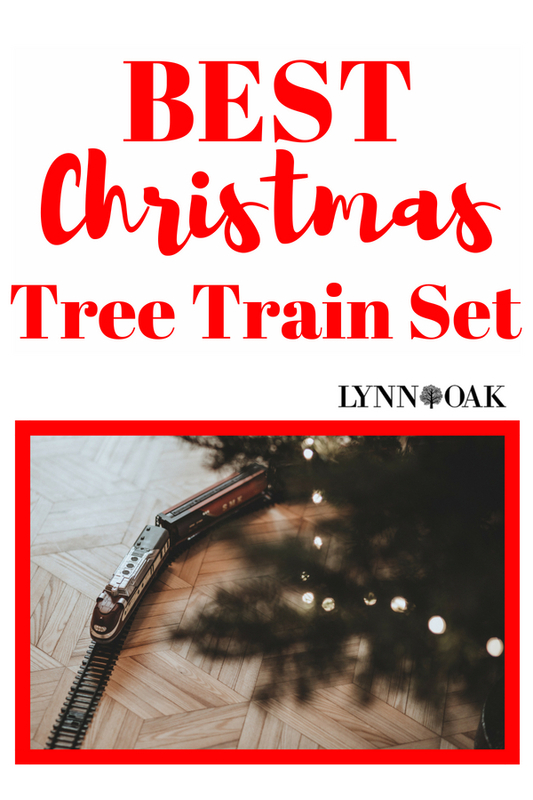 I'm off to find the very best Christmas tree train set that will make my old artificial tree look magical this year. I'm looking more towards something that will give new life to my old tree, without having to replace it. I thought by adding something under it will give it some charm. I'll have to block off my dogs from getting in the living room this year but it's worth it. The tree gets me in the holiday spirit. I first looked for items by size and I didn't want something really cheap that would only last a year then needs to be replace. I wanted something that could be handed down to my grandkids someday, if I ever have any, that is! I've chosen 5 that I would buy myself but of course I'm only going to get one. See below what I picked out. This is the best one for the price. The other one like it is really expensive. I didn't want to sink that much money into something that I was just going to use for Christmas decorations. I loved the book and the movie. This set is 50" x 73.2" oval of Ready-to-Play track. 24 pieces of curved and 8 straight plastic track. It has a remote control with different sounds and the engine has a light. The reviews are very promising too, everyone seemed really happy with theirs and loved that it had a remote control with it also. I have a soft spot in my heart for all things Lego! I believe my boys had a one just like it years ago at their grandmother's house but she won't turn loose of it. lol! I looked at the reviews and they were mostly positive. I would love this just as it is without it being motorized. Such a fun display for Christmas! See how hard it's going to be to pick just one! Next to Lego's I love Harry Potter stuff even more! Having the Hogwarts express under the tree would be so awesome! I would spend the whole holiday re-reading all the books again. I would have my very own platform 9 3/4. How cool is that? This lego set was the most popular, it's modern and super fast looking. Everyone loved it. It's a High-speed passenger train in total measures over 4” high, 30” long and 1” wide. Front and rear cars each measure over 4” high, 10” long and 1” wide. Middle car measures 3” high, 8” long and 1” wide. It comes with curved tracks and straight ones. Also has a remote and some other cool features. Plus you can add your own Lego's to the scene under the tree if you want, make your own town would be cool!